We will pick you up in the morning and head to the dive centre where you will receive a briefing with everything you will need to know about the dive. After putting the equipment on, we will go to the water and your personal instructor will take care of everything during the 40 minutes dive. He will show you the amazing animals living in the ocean! This is a very safe and easy experience. The first time you breathe underwater will be an unforgettable moment! After the activity, you will be brought back to your hotel. 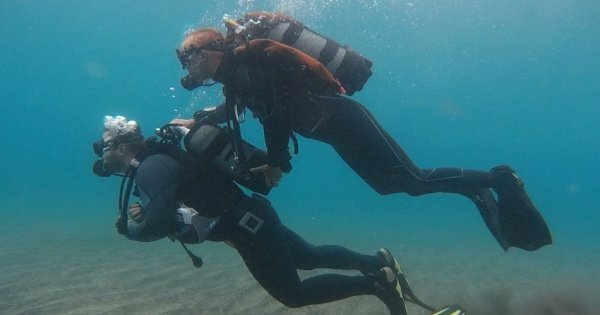 Take your first breath underwater, an unforgettable moment!